This is a photo of Curtis at the Waterworks, by the Philadelphia Museum of Art. Taken in 1994 by an unknown photographer who later gave the framed print to us. The bike is an 1880's Columbia Expert. Note the radial spoke lacing. This was a "go fast" machine, Curtis says this was a great riding bike that he put a lot of miles on. This is a neat item that came to us recently. It is a Cyclo (French) freewheel kit. NOS new from the 1960's- early 70's. when you unzip the vinyl pouch there is a 5 speed freewheel (steel body and cogs), original oil bottle, 9 spare cogs, spacers, freewheel remover, pawls, spring clips and instruction sheet! Everything you need to service these freewheels, except the chain whip! Nice compact packaging for on the go competition. Campagnolo also had a freewheel service kit in a nice wooden case, but it was much larger than this unit. The frame details are mid level production. The head lugs are nicely filed and contoured, the BB shell has long tangs on the seat tube and down tube. Also the fork has long tangs. The crown is semi sloping with slotted shoulders. Very nice. Full wrapping seat stays on the seat cluster are a bit chunky, but still nice. White lug lining. it has water bottle bosses and a braze on for the rear derailleur housing stop. There are a couple number sequences stamped on the BB shell. they are: 8238, 145,250 I do not know how to decipher these numbers and there is very little info on their serial system. The frame and fork are in alignment. 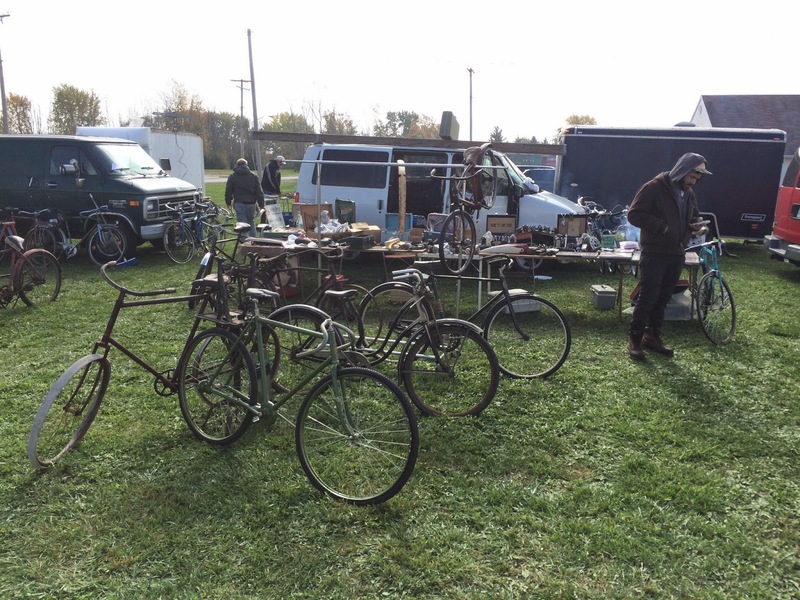 This will make a great restoration candidate or build as a winter time training bike. Cost is $300.00. 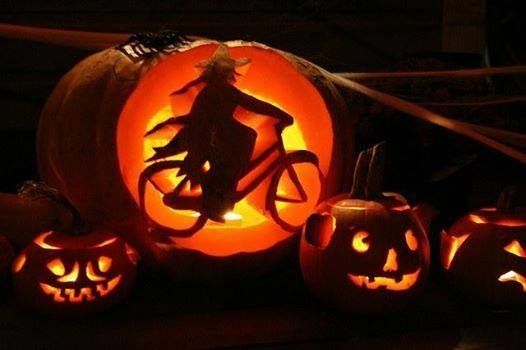 please email with any questions at: bikeville@gmail.com. shipping and handling to be calculated depending on location. local pick up is fine as well. Re-post from a friend. Clever. 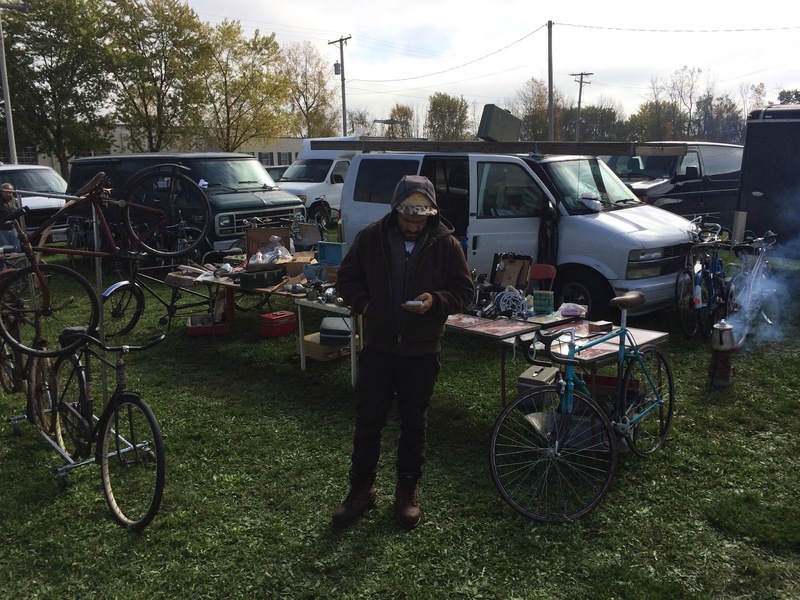 Our friend and fellow bike collector Biz sent me these two photos of Curtis's set up out in Ohio at the Memory Lane swap happening now. Wishing I was there instead of stuck in front of the computer. Thanks Biz! So we have a lot of Campagnolo "Paramount drilled " pista hubs around here. We have a lot of projects here at the shop. I just found another one. 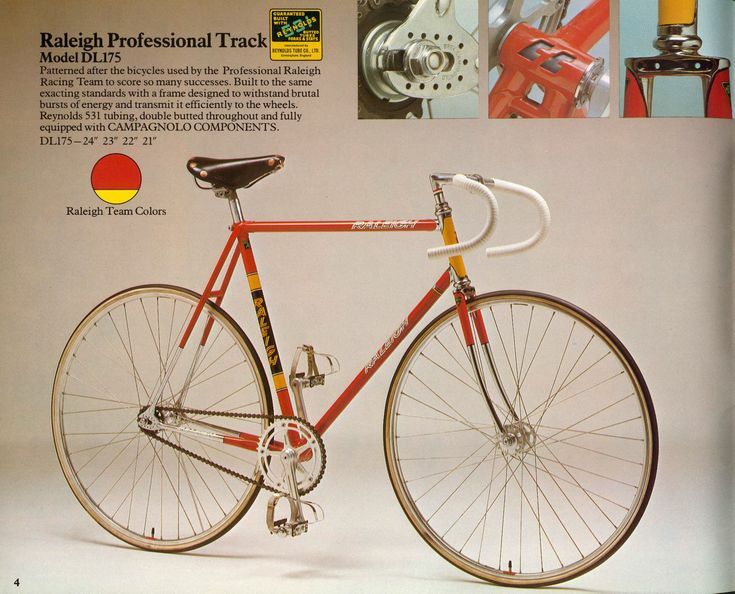 Colnago scale model. Cool! We have been getting to work on some awesome bikes here at the shop recently. This one takes the cake. A friend and customer of ours recently purchased this 1975 Team Raleigh pista frame and fork. He brought it to us for the rest of the build. I was able to obtain the necessary parts at a couple of recent swap meets. It is built with Campagnolo Nuovo Record pista cranks and bottom bracket, low flange Campagnolo pista hubs laced to Mavic Module E 700C clincher rims. Brooks pro saddle and Campagnolo Nuovo Record seat post. The frame and fork came with the Campagnolo Nuovo Record head set. It also sports an alloy Cinelli 1A stem and Cinelli Criterium bars. MKS black cage "con denti" pedals with Christophe toe clips and white leather toe straps. These are some of my favorite pista bikes. I always loved the fork crown and the drilled rear drop outs. Great color scheme as well. The head lugs are nicely filed with long thin points and the BB shell has the nice long reinforcing tangs. 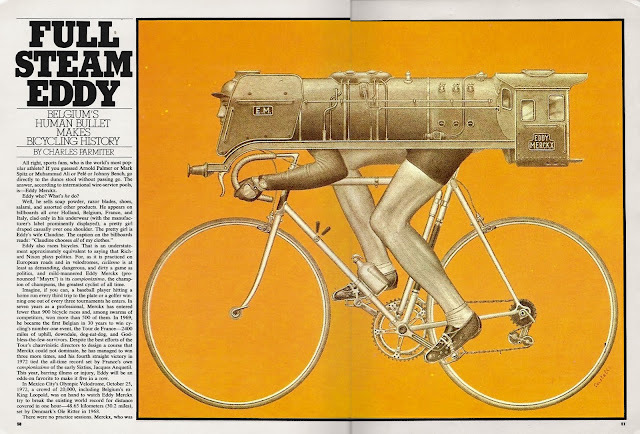 I believe this is built with Reynolds 531 tubing as 753 was not available untill 76' and it takes a 27.2 seat post and most older 753 tube sets used 27.4. Plus it feels heavy like a 531 built frame. Overall great machine and great owner. Happy to help out!